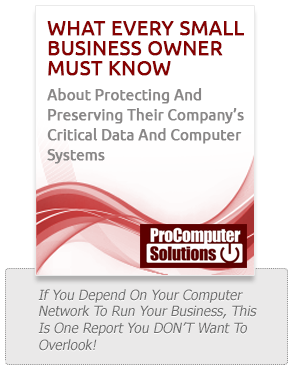 Computer Repair and Troubleshooting - Kansas City, Independence, Lee's Summit | Pro Computer Solutions, Inc. Expert Computer Repairs in Blue Springs, Independence, Grain Valley, and Oak Grove. 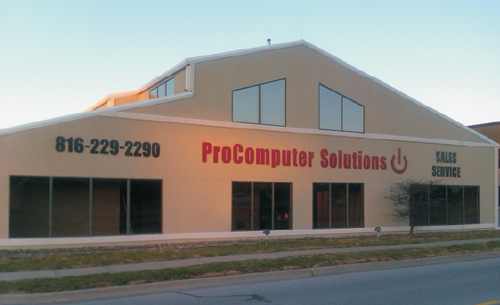 Since we started our business we’ve been providing expert computer repairs for businesses all across the Greater Kansas City area. Occasionally friends or clients would ask us to repair their personal computers and we have always been happy to help them out, but it was a secondary part of what we did. This secondary part of our business grew large enough that we had to expand our facility and now offer the same expert PC repair service to residences throughout Eastern Jackson County. We have developed a dedicated team that remains in-house and only does work in our shop. Our in-house technicians are dedicated to resolving your issues quickly and will always be available for you to drop in or call when you have questions. We have an inviting showroom and friendly technicians that can talk to you about your issues without resorting to Techo-Babble. Our goal is to build relationships and extend you the same high quality service that our business clients have come to expect. All PC repairs performed in our office are on a fixed fee basis so we can tell you exactly what your cost will be before work begins to fix your computer. We do not charge hourly fees that can leave you wondering how long the repair is going to take and eliminates expensive surprises when you come to pick up your computer. We are able to offer such low fees in the store because our technicians are able to work on several machines at once. Virus and spyware removal often takes many hours to complete, but since the technician doesn’t have to be dedicated to working on just one machine we can multi-task and pass the savings on to you. If you are not able to bring your PC into our shop in person but don’t want to pay for on-site support, we offer a pickup and delivery service. Our technician will come to your home or office, disconnect everything and bring it to our shop for repair. After all of your problems are resolved we deliver it back to you, hook everything up, and make sure it’s working properly in your environment. Please call 816-229-2290 and request to speak to a PC repair technician who will be able to discuss your computer repair and review our current price schedule with you.